For each game turn, you have a certain number of Activation Points (AP) that allow you to direct your troops. 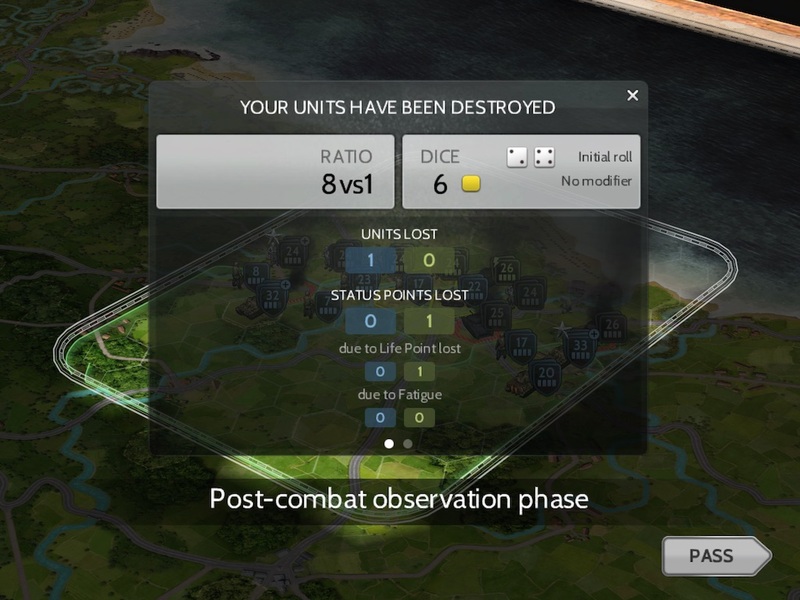 Carefully allocate these points to the units you want to move and have combat. Movement depends on the capacity of your units as well as the nature of the terrain of the battlefield. Use the terrain to your advantage to optimize your defense. Attack wisely, study your available units, their capacities, and their materiel, and evaluate the strength of your opponent. Call on your artillery or your air and naval units to bombard the enemy positions or support your attacks. 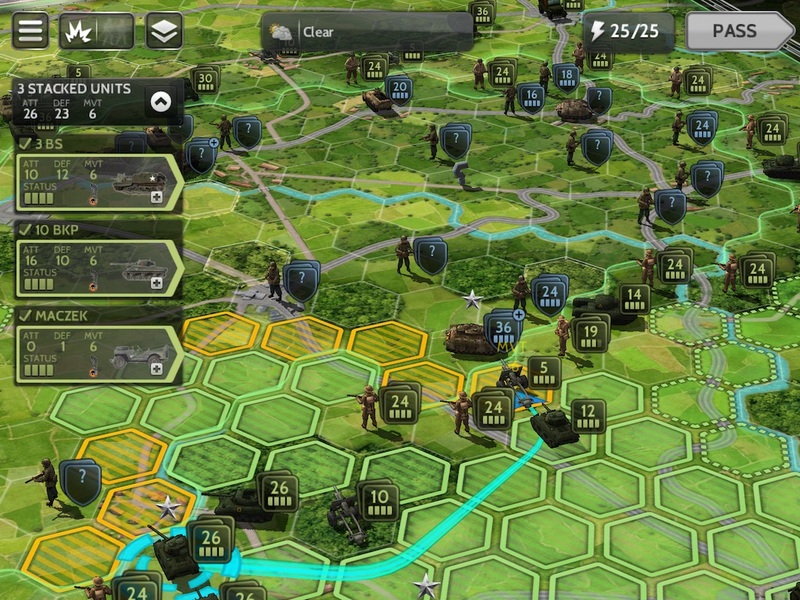 You can also request aid to reinforce your offensives from adjacent units that have not yet fought. But keep an eye on the state of your troops since fatigue impacts their capacity to attack and defend themselves and some will have been weakened by the enemy. It is up to you to allocate your replacement points to these units and to manage the arrival of reinforcements that could change the battle’s outcome. 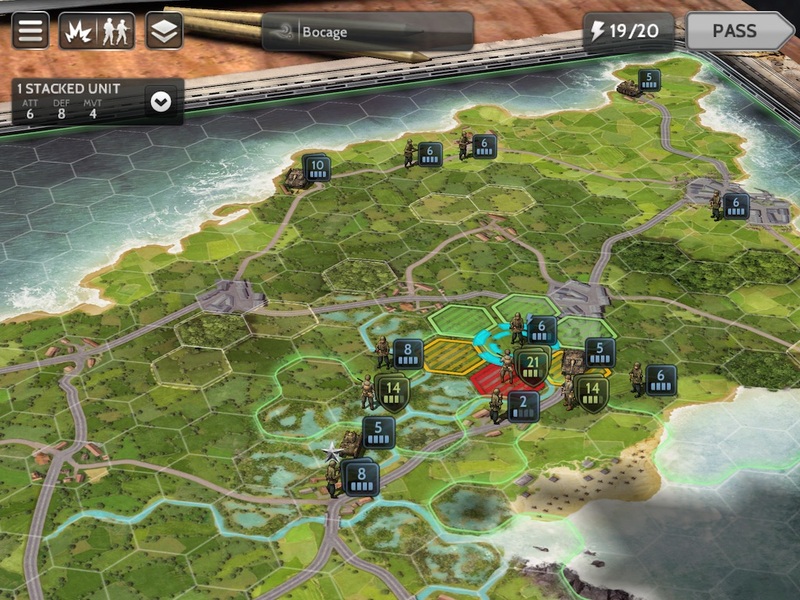 Supply must also be taken into consideration in the development of your strategy: protect your lines of supply and make sure your troops are always in supply. As Commander in Chief, you will benefit from the support of renowned soldiers on the battlefield who will increase the strength of your units. 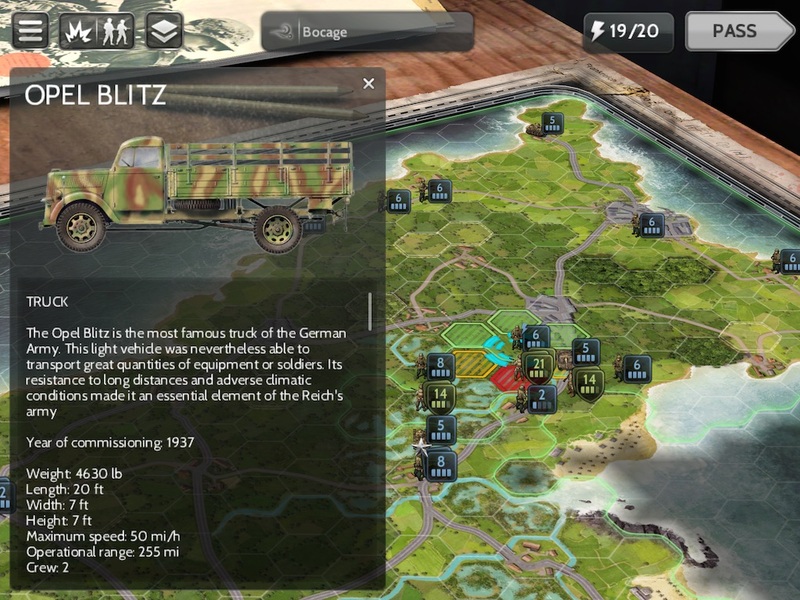 Achieve the objectives assigned to you to win victory and move up the ranks. With the 3D view, find yourself in the heat of the fight and enjoy the fine modeling of the different equipments for each battle. 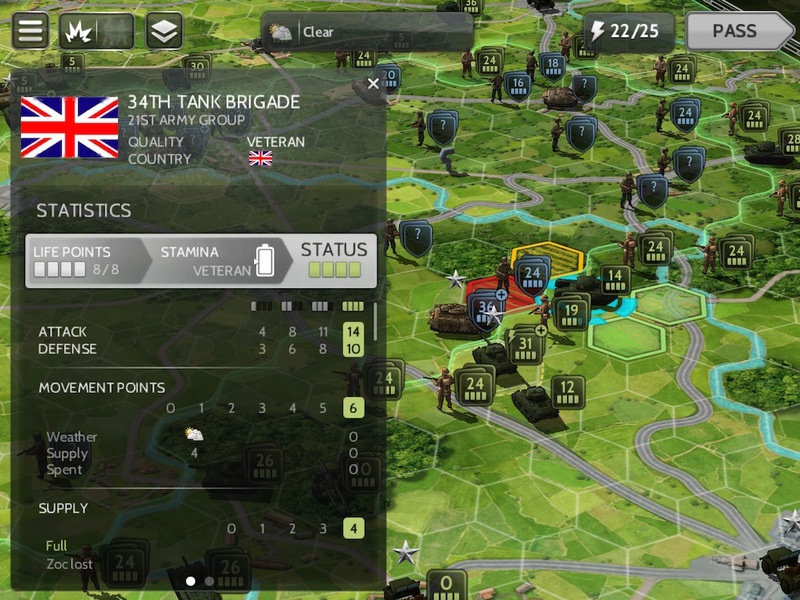 The 2D view gives you the opportunity to have a more strategic view of the battlefield and to directly access the more vital pieces of information of your units. In Wars and Battles, you will benefit from a 3D view that you can adjust by manipulating the camera with your fingers. If you prefer, you can also switch to 2D. The green hexagons show your movement area according to the movement points of the selected unit. The yellow ones indicate dangerous areas which will stop your progression regardless of your remaining movement points. When you choose a unit, its radius of movement appears and allows you to see the possible destinations based on the available movement points. 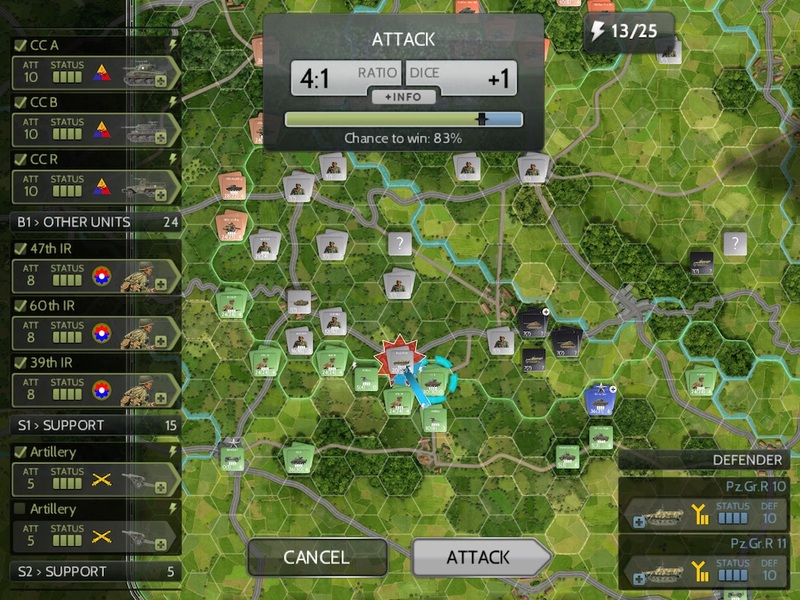 Then, simply choose the destination hexagon for the unit by pressing/clicking on it. The cheapest path according to the movement points of your unit is automatically calculated. When you decide to make a move, the best route is automatically proposed. It is up to you to divide your move into several steps to move in the direction of your choice or to confirm the proposed route by clicking again on the destination hexagon. You may always cancel your movement if you make a mistake, unless your move enabled you to discover enemy units. Your available Activation Points per impulse and your remaining Activation Points are always shown in the upper right corner of the screen. In Wars and Battles, each action costs a certain number of Activation Points (AP) that allow you to move a unit, to attack, to strengthen yourself, or to reinforce a weakened unit. The abilities of your units are shown on the left of the screen. To access further details, you just have to click on the box of the unit. Enjoy the simplicity of Wars and Battles. You only have to touch a unit to choose it and get an overview of its basic capacities: attack points, defense points, movement points. On a PC or Mac, a simple click allows you to access this information. You can easily access more detailed information about the unit. 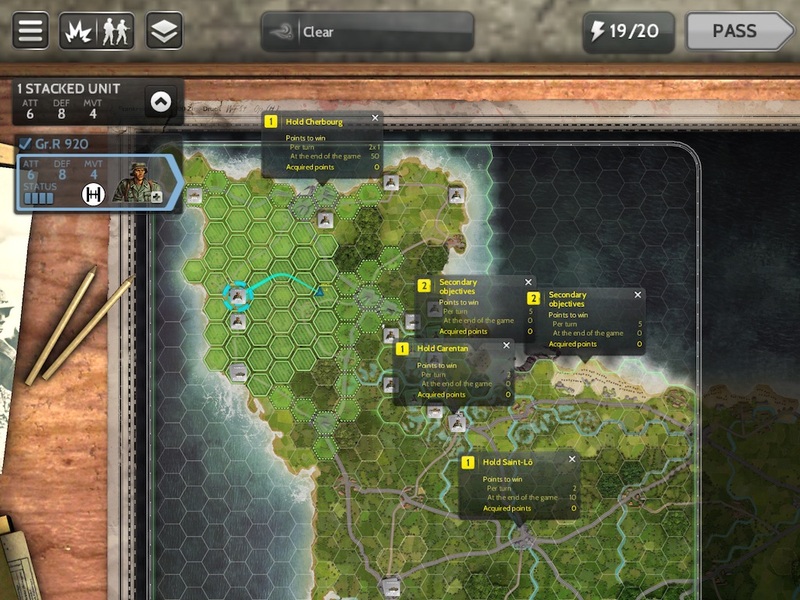 This will be very useful when you begin to manage your armies well and you want to optimize the use of your troops. Find out more about the equipment of your units. From the unit’s information screen, you can access a detailed file on the unit’s equipment, identifying its principal characteristics and providing you with a wonderful profile view of the equipment or uniform of the unit. You can access all the important data before you launch your assault. You can consult the combat modifiers by clicking on the box of the combat ratio. To attack, simply select an enemy unit within range of one of your units. 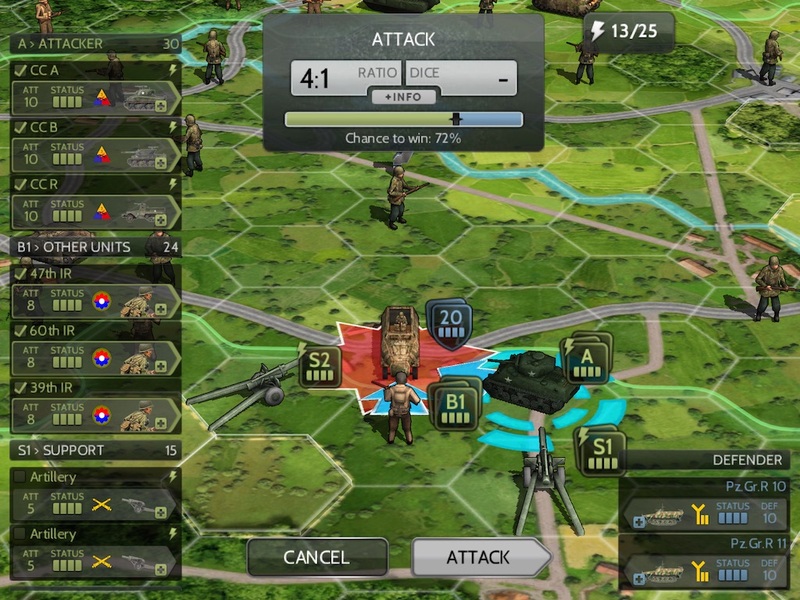 The strength ratio between your unit and that of your opponent is displayed. It is based on your unit’s attack points and your opponent’s defense points, but also on the nature of the terrain and many other parameters that vary according to the battles and the eras. You can call on your units adjacent to the enemy unit to tilt the strength ratio in your favor. Land or naval artillery units and airplanes available that day can also come to support your combat. Find yourself in the heat of the fight thanks to awesome animations. Once the assault is launched, a combat recap appears on the screen, listing all the losses suffered by each side. If you have no more Activation Points or if you don’t want to carry out any other actions, end your game turn by pressing the end of turn button. 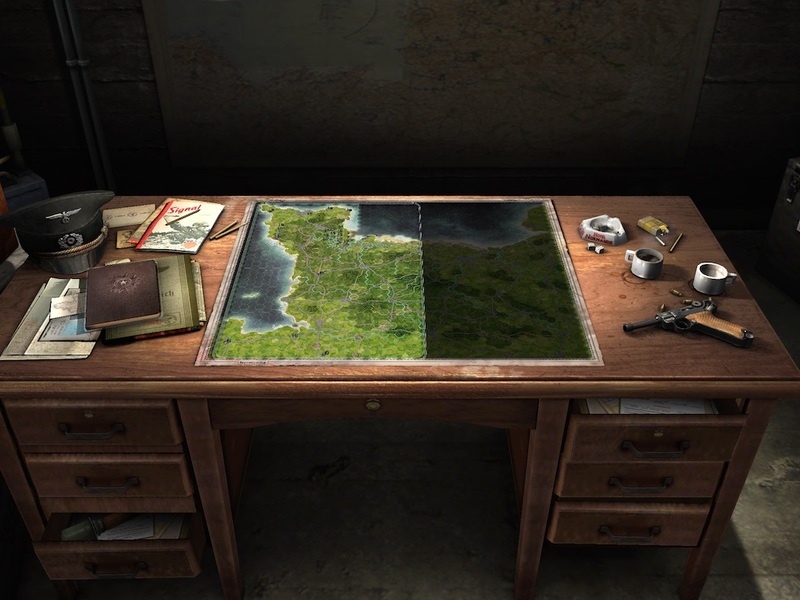 In addition to these basic rules, each wargame features rules that allow the player to be further immersed in the reality of the combats: the orientation of the units and the unidirectional zones of control for Austerlitz or Gettysburg, the parachuting and bombardments for Normandy (1944) or Market Garden (1944), the Sagger antitank missiles and anti-air SAM for the October War (1973), the withdrawal of units in the Korean ports for The Korean War, etc.